State Bank of India, being the unanimously leading money lender in India has taken up few considerations regarding the interest rates. With millions of people involving in banking with the mighty SBI, any minute change in its regulations will show a huge impact further. Following the decrease in inflation at the stock market exchange, State Bank has slashed its interest rates on the savings account by 0.5 percent. The existing 4 percent is now altered to 3.5 percent. However, this interest rate is limited to those accounts whose deposits doesn’t cross 1 crore. In its recent notice, SBI in its statement read that it will introduce a two-tier savings rate effective 31 July, i.e; today itself. “The decline in the rate of inflation and high real interest rates are the primary considerations warranting a revision in the rate of interest on savings bank deposits,” read the statement. SBI has cut its rate on saving bank deposits of less than 1 cr to 3.5%. 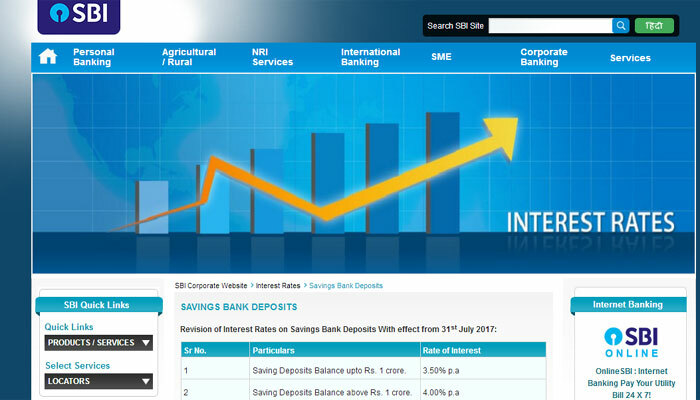 “The revision in savings bank rate would enable the bank to maintain MCLR at the existing rates, benefitting a large segment of retail borrowers in SME, agriculture and affordable housing segments,” SBI in its statement added. 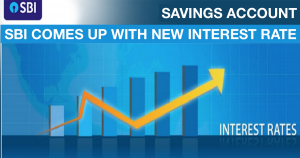 As of now, SBI is the first bank to impose this new formula since the Reserve Bank of India (RBI) deregulated the savings rate in 2011 financial year.